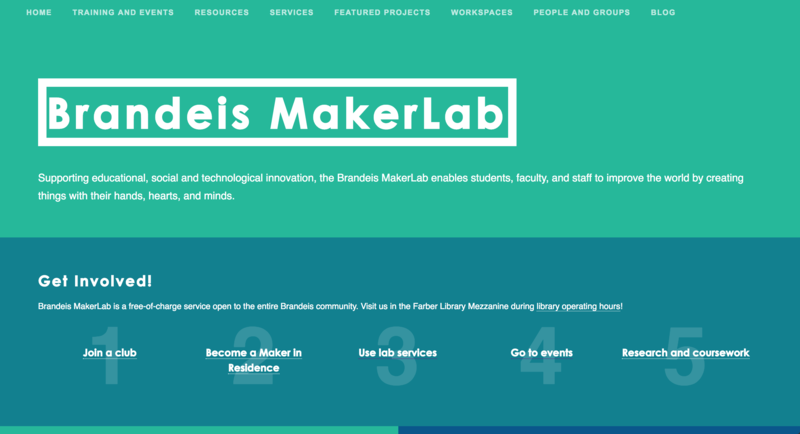 About: The Brandeis MakerLab is Brandeis' makerspace, providing students, faculty, and staff on campus with resources and support to actualize their technology projects. 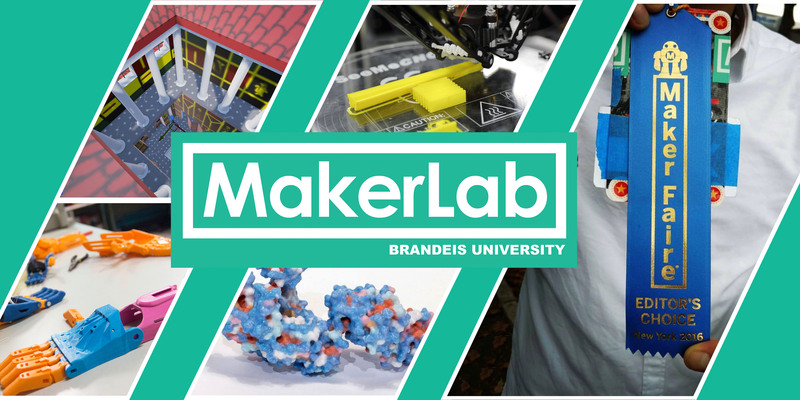 In addition to providing hardware such as 3D printers, the MakerLab engages in outreach with the Brandeis community by hosting weekly trainings and workshops, sponsoring hackathons, and collaborating with research labs and projects on campus. As a web developer for the MakerLab for three years, I worked on one of these research lab collaborations, and created this website to house information about the MakerLab and publicize its work.